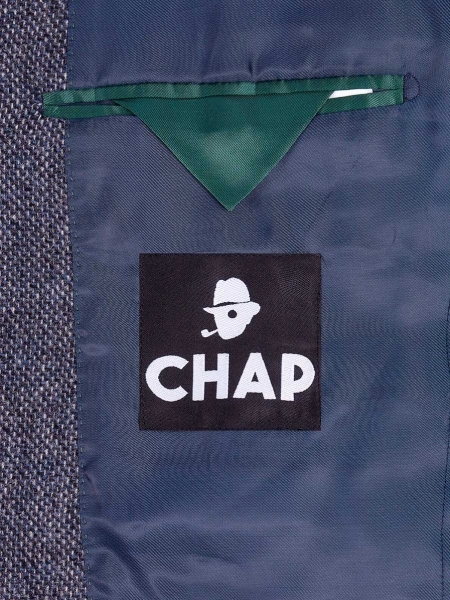 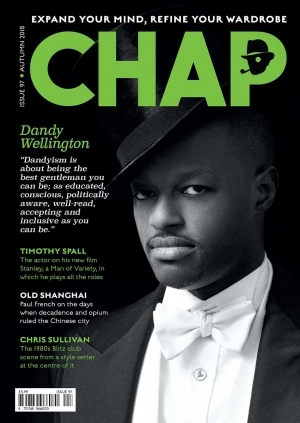 You cannot add "The Chap Autumn 18" to the basket because the product is out of stock. 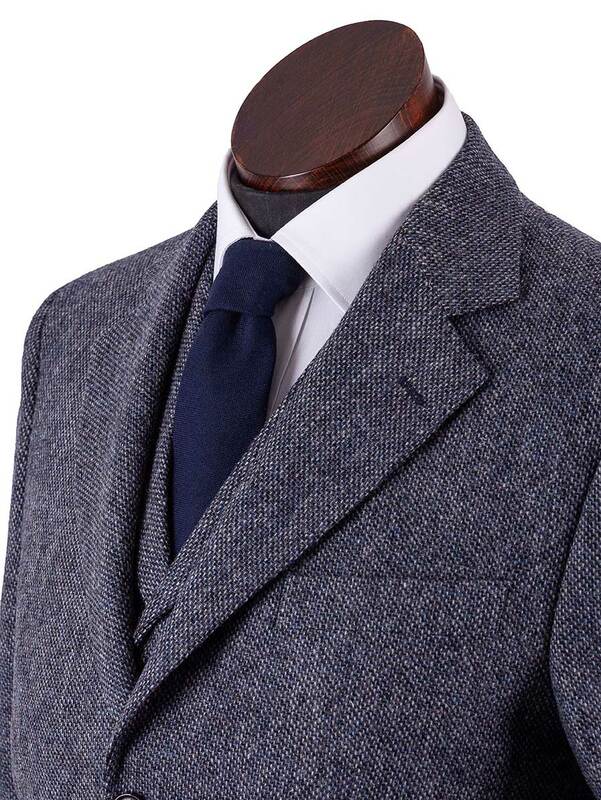 In collaboration with Edinburgh tweed merchants Walker Slater The Chap has manufactured a classic three-piece suit. 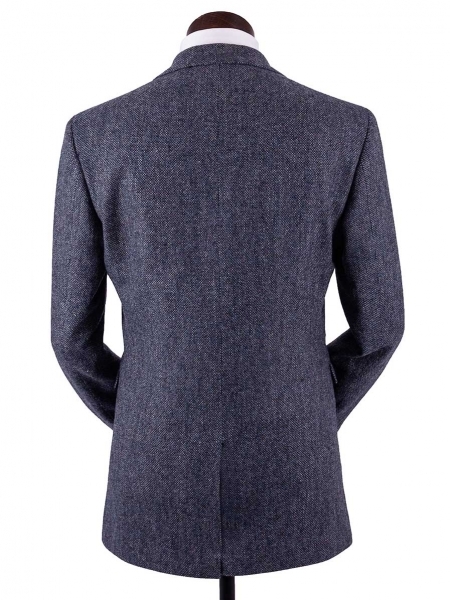 The fabric is Shetland wool with a distinct 'birdseye' weave, creating tiny dots into a solid colour base, in this case gun-metal blue. 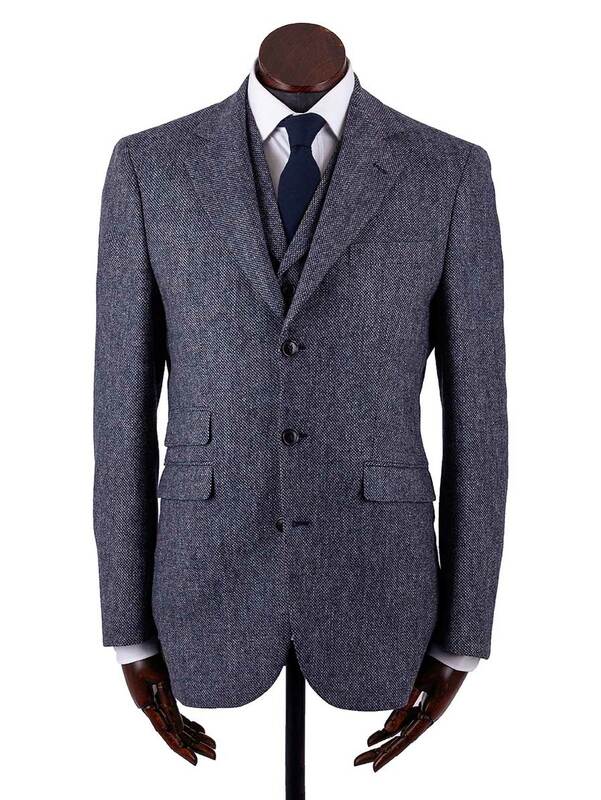 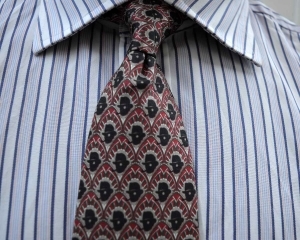 The fabric is a medium-weight, making this an ideal suit for late summer or spring. 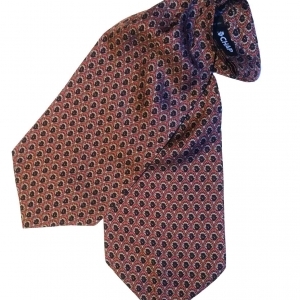 The colour – also available in dark brown – makes this suit entirely appropriate for Town, though worn in the country it is also likely to garner a few compliments. 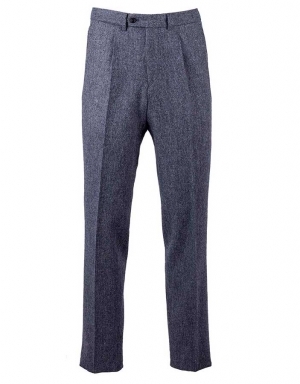 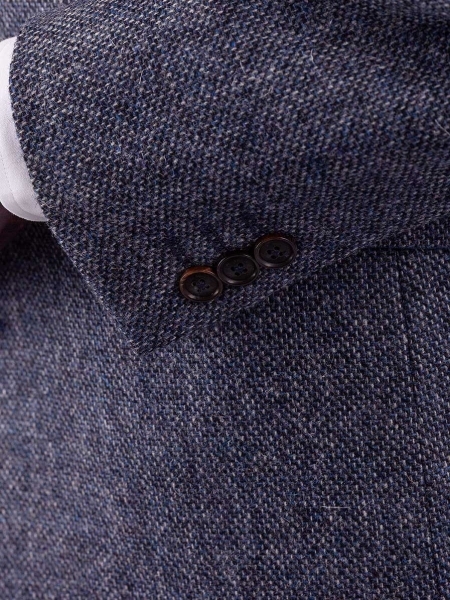 Each component of the suit – trousers, waistcoat and jacket – is available individually. This product listing is for the jacket only. In collaboration with Edinburgh tweed merchants Walker Slater The Chap has manufactured a classic three-piece suit. 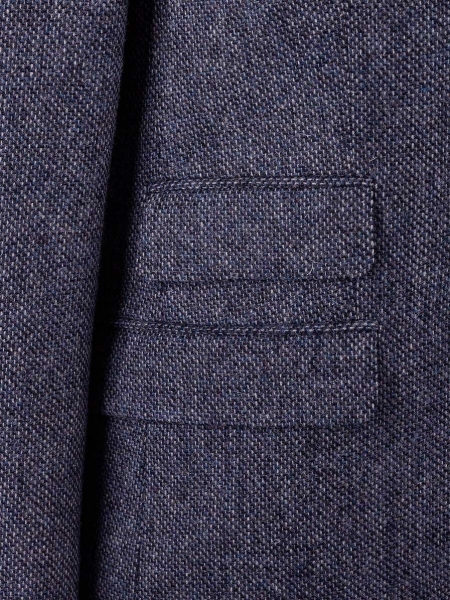 The fabric is Shetland wool with a distinct ‘birdseye’ weave, creating tiny dots into a solid colour base, in this case gun-metal blue. 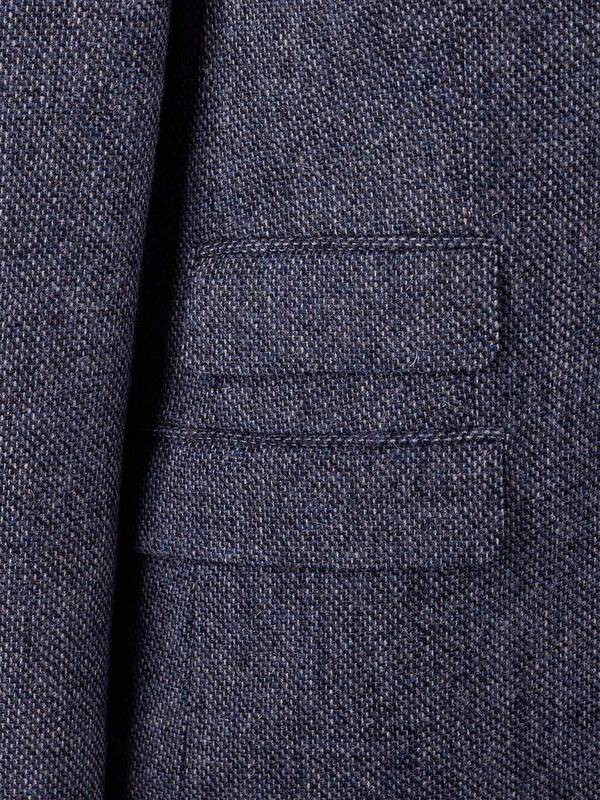 The fabric is a medium-weight, making this an ideal suit for late summer or spring. 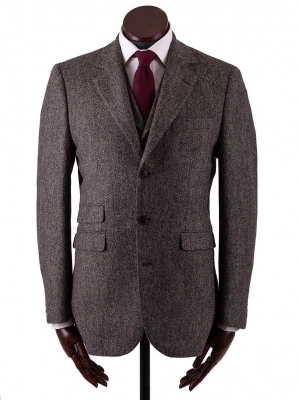 The colour – also available in dark brown – makes this suit entirely appropriate for Town, though worn in the country it is also likely to garner a few compliments. 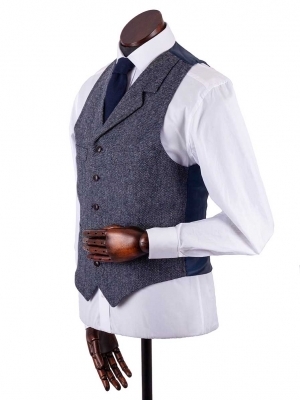 Each component of the suit – trousers, waistcoat and jacket – is available individually. 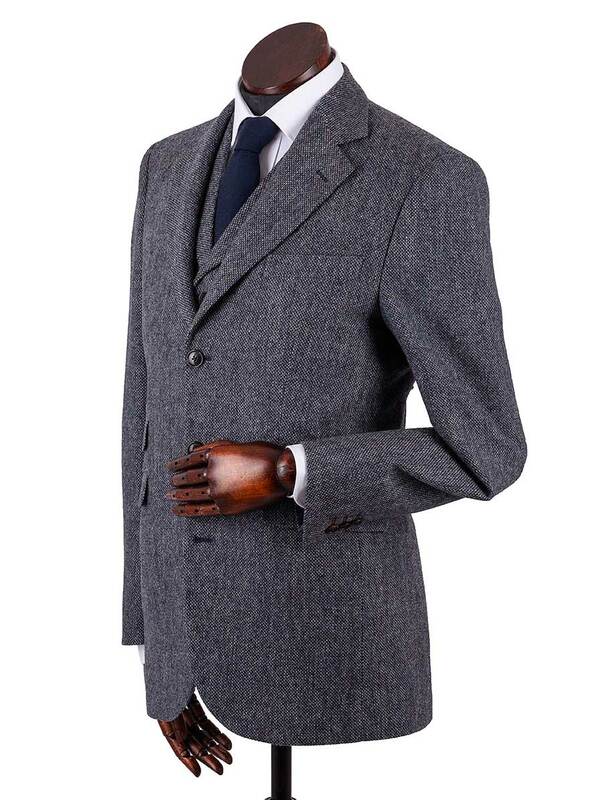 This product listing is for the jacket only. 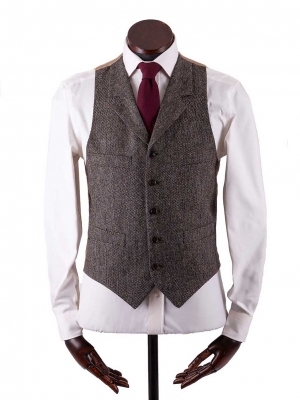 Please provide a telephone number when ordering, to facilitate an efficient delivery service by courier.